Our 2019 season of trips commences on 1st April and runs (weather permitting!) to the end of October. We run 7 days a week during the season. Some trips may be also available in late March. Since we can be very busy it is advisable to book in advance to be sure of availability and avoid disappointment. You can book online or by phone. 1) Click the link and choose your trip from the drop-down menu (which shows all our trips). 2) Enter number of tickets and the time required. 3) Pay securely with SagePay. You should receive an email confirmation within a short period of time. NB: for bookings on the day please telephone one of our numbers below. You can book by calling us on 0800 731 3089 or 01471 866244 (International +44 1471 866244) from 7.30am onwards each day (please have your credit card details ready). 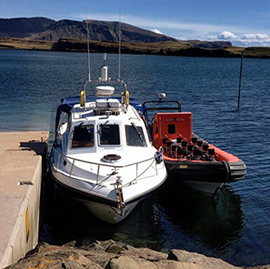 All bookings are non-refundable unless Bella Jane Boat Trips has to cancel your trip, in which case we will refund your card in full, or if you prefer, re-book you on to another trip when availability allows.